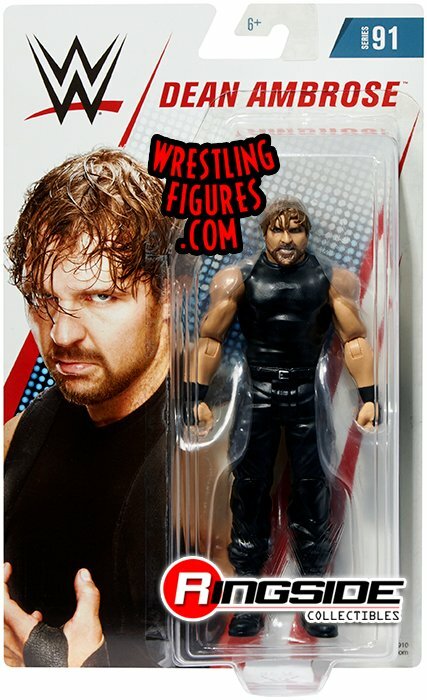 Three brand new sets of basic WWE action figures from Mattel are coming out over the next few weeks. Series 90 has now been released, and the 91st and 92nd series are quickly on their way to coming way out soon as well. Ronda Rousey - The biggest draw for series 90 is the inclusion of Ronda Rousey's debut WWE action figure. Ronda's first figure is dedicated to her Royal Rumble 2018 appearance, which is the Raw Women's Champion's debut as a member of the WWE roster. 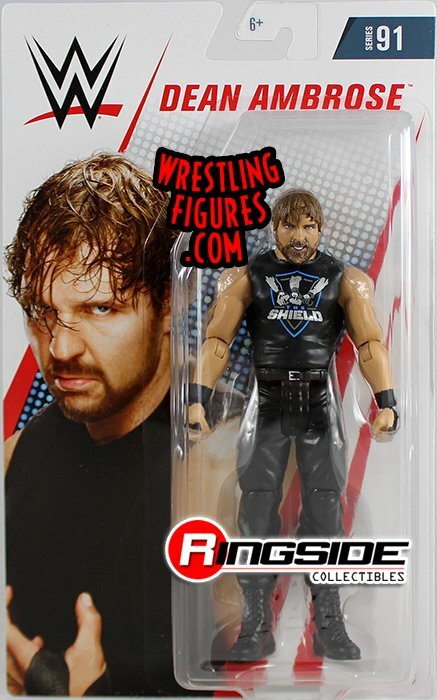 This former MMA fighter is definitely going to be a major seller around the holidays, so fans and collectors who may be interested in owning this particular action figure may want to get on it as quickly as possible. Aiden English - This member of the SmackDown roster's newest figure is made with black ring tights with an artwork design on the side. Aiden also has a new confident and determined headscan here. 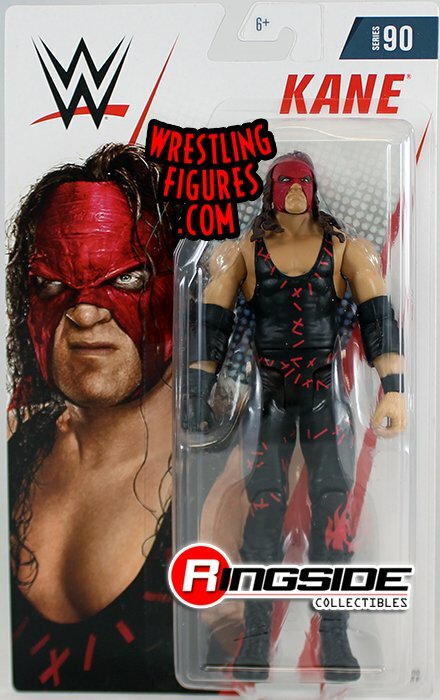 Kane - "The Big Red Machine" is back with another basic action figure in Series 90. Kane is decked out in his usual red mask and black/red ring gear. The Miz - This version of The Miz sees the former WWE Champion arrive with a new lifelike headscan, which is the result of new the TrueFX scanning technology that Mattel is using on their figures in 2019. Miz also has accurate ring gear with this figure too. Roman Reigns - "The Big Dog" also has a new smirking expression and his detailed shoulder tattoo. 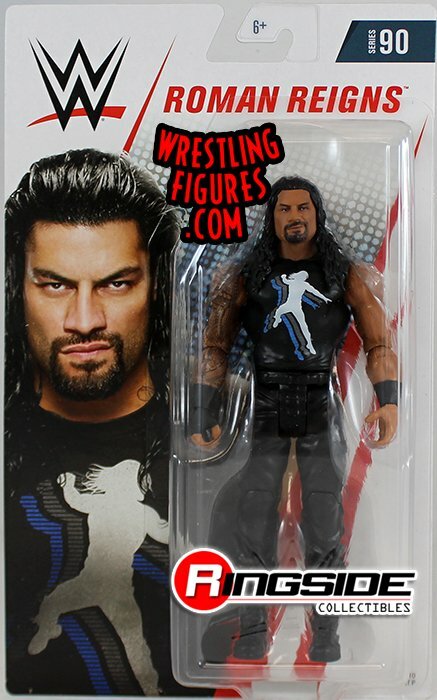 This Roman figure sees him wearing a shirt with his Superman Punch logo on the front with the "It's My Yard" slogan on the back. Series 90 is now available to purchase, and more details and information on these figures can be found here. In other action figure-related news, Series 91 and 92 of Mattel's basic WWE action figures have already been put up for pre-order online. It looks like Series 91 will include brand new figures of Shinsuke Nakamura, Alexa Bliss, Finn Balor, a regular and chase variant Dean Ambrose figure, and the debut WWE action figure for 205 Live Superstar Drew Gulak. Series 91 will be available to buy in just a few weeks, and they are up for pre-order right now. Meanwhile, Series 92 includes Mandy Rose's first action figure, and new versions of John Cena, Samoa Joe, Jeff Hardy, and Seth Rollins. This set will be released in early-January, but more on these figures can be accessed as this link.